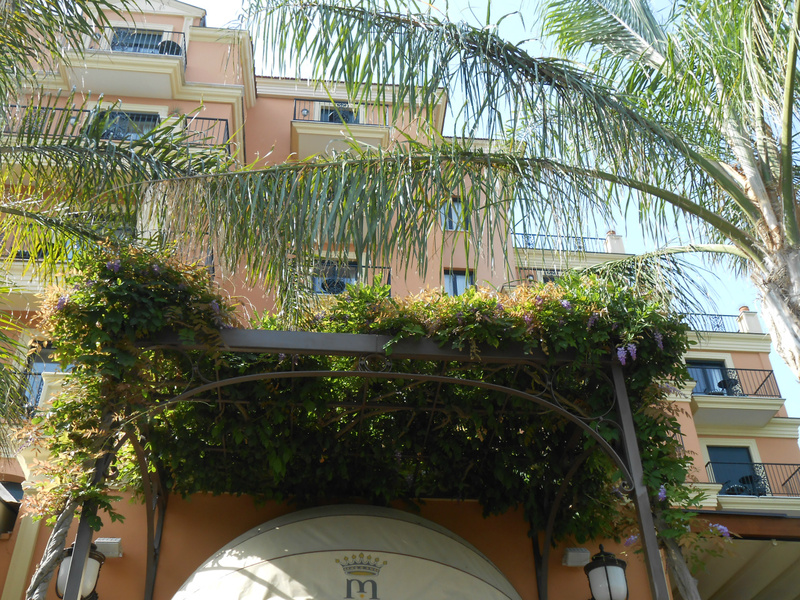 This is the wisteria (glicine in Italian) just above the garden entrance at the Hotel Royal, Sorrento. Now in September the wisteria is growing new blooms, though currently they do not last longer than a day because of the heat. In the afternoons you can still experience 35 degrees Celsius here.